New Delhi/The Hague: The International Court of Justice (ICJ), the principal judicial organ of the United Nations (UN), will hold public hearings in the Kulbhushan Jadhav case, the Indian national who was sentenced to death by a Pakistani court on spying charges. The hearing will be from February 18 to 21, at the Peace Palace in The Hague, the seat of the court. The hearings will be streamed live and on demand (VOD) in English and French on the Court’s website (www.icj-cij.org/en/multimedia-index) as well as on UN Web TV, the United Nations online television channel. Still photographs of the hearings will be posted on the ICJ website and the court’s Twitter feed (@CIJ_ICJ) along with selected high-resolution video footage (b-roll). 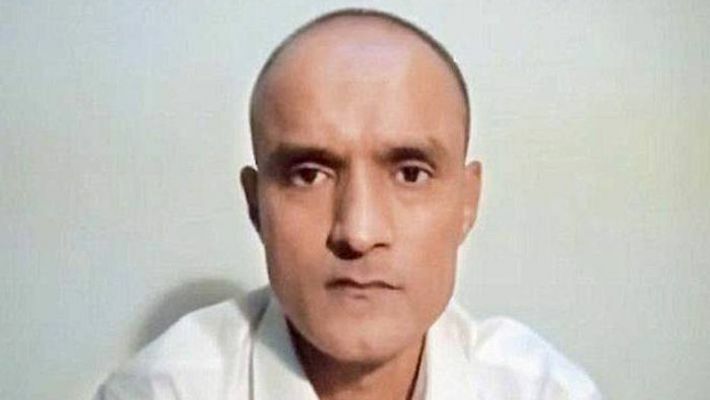 Jadhav has been accused by Pakistan of espionage. India denies all the charges and maintains that Jadhav was kidnapped from Iran where he had business interests. India and Pakistan have already submitted their detailed pleas and responses in ICJ. The ICJ is the principal judicial organ of the UN. It was established by the United Nations Charter in June 1945 and began its activities in April 1946. The seat of the court is at the Peace Palace in The Hague (Netherlands). Of the six principal organs of the UN, it is the only one not located in New York. The court has a twofold role, first, to settle, in accordance with international law, legal disputes submitted to it by States (its judgments have binding force and are without appeal for the parties concerned); and, second, to give advisory opinions on legal questions referred to it by duly authorised UN organs and agencies of the system. The court is composed of 15 judges elected for a nine-year term by the General Assembly and the Security Council of the United Nations. Independent of the UN Secretariat, it is assisted by a registry, its own international secretariat, whose activities are both judicial and diplomatic, as well as administrative. The official languages of the court are French and English. Also known as the “World Court”, it is the only court of a universal character with general jurisdiction. The ICJ, a court open only to States for contentious proceedings, and to certain organs and institutions of the UN system for advisory proceedings, should not be confused with the other mostly criminal judicial institutions based in The Hague and adjacent areas, such as the International Criminal Court (ICC, the only permanent international criminal court, which was established by treaty and does not belong to the UN), the Special Tribunal for Lebanon (STL, an international judicial body with an independent legal personality, established by the United Nations Security Council upon the request of the Lebanese Government and composed of Lebanese and international judges), the International Residual Mechanism for Criminal Tribunals (IRMCT, mandated to take over residual functions from the International Criminal Tribunal for the former Yugoslavia and from the International Criminal Tribunal for Rwanda), the Kosovo Specialist Chambers and Specialist Prosecutor’s Office (an ad hoc judicial institution which has its seat in The Hague), or the Permanent Court of Arbitration (PCA, an independent institution which assists in the establishment of arbitral tribunals and facilitates their work, in accordance with the Hague Convention of 1899).